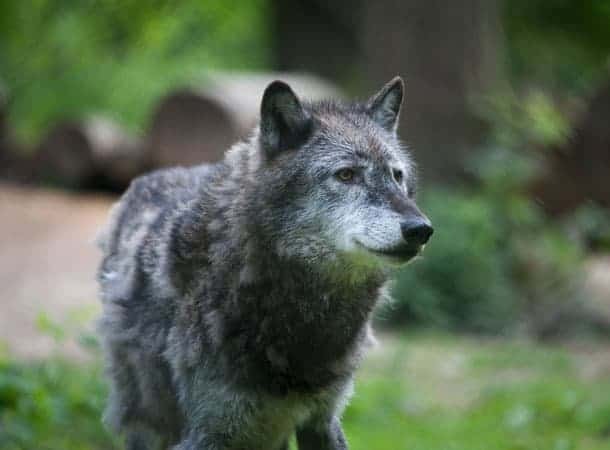 New Forest Wildife Park (NFWP) is inviting visitors to come and meet the park’s keepers during BIAZA’s Love Your Zoo Week, which will be celebrated this year from Saturday 27 May to Sunday 4 June. BIAZA stands for the British Association of Zoos and Aquaria and every year BIAZA holds a Love Your Zoo Week to inform people more about the important roles that zoos and wildlife parks play in the conservation of flora and fauna. “There’s lot of publicity about zoos and wildlife parks but not everyone knows what good zoos actually do or what they achieve,” said NFWP owner Carol Heap. “We’re inviting visitors to come along and chat to our keepers during Love Your Zoo Week to find out more about their daily activities and to discover what we do for conservation. NFWP and its sister parks in Derbyshire and Battersea are involved in rescuing injured and orphaned native species such as otters, owls and deer, as well as in captive breeding programmes for pine martens, harvest mice, water voles, giant otters, European bison and Eurasian otters. Curator Jason Palmer also manages a European studbook for Asian short-clawed otters and pine martens. Visitors to the park during May half term will see larger enclosures for the red deer, European bison, hedgehogs and wild boar. The Tropical Butterfly House is open, with new pupae delivered every week from sustainable farms in the Philippines, Thailand, Uganda, Kenya, Argentina, China, North America and Costa Rica. There will be a Love Your Zoo quiz during the week, costing £1, with a prize for every entrant. Visitors to New Forest Wildlife Park can see animals in lovely natural enclosures among the trees, including giant otters, North American river otters, Asian short-clawed otters and Eurasian otters. There are red, roe, muntjac and sika deer as well as Scottish wildcats, European bison, wild boar, wolves, wallabies, lynx, hedgehogs, foxes, mouflon, pine martens, polecats, ferrets, harvest mice, several species of owls and some reptiles. During the spring there are sometimes some new arrivals to see too, such as mouflon lambs, wallaby joeys and red deer calves. Set in 25 acres of lovely New Forest woodland, there’s a well-stocked gift shop and restaurant and the ever popular Go Wild Adventure playgrounds, where children and adults of all ages can let off steam on the swings, ropes, zip wires and climbing frames. The New Forest Wildlife Park is at Deerleap Lane, Longdown, Marchwood, Southampton, SO41 4UH.